Download Current Affairs of December 2018 by iasparliament of the month in English pdf for UPSC CSE and State PCS Exams. 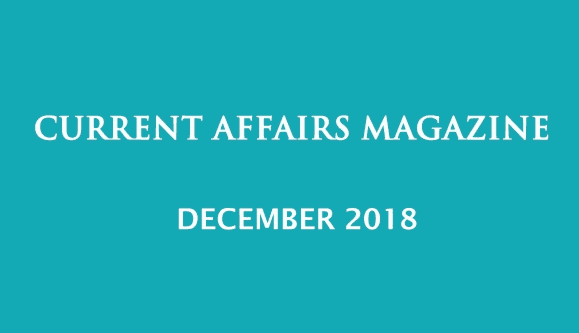 Download Current Affairs Magazine of December 2018 for UPSC Civil Service and state Public Service Exam Preparation, in pdf format by Shankar IAS/ iasparliament. You can download this pdf from the link given below. In this, topic discussed on Indian Polity, Governance Act and Policy, Social Issue, Health, Governance, International Relations,Bilateral relationship, GeoGraphy, etc.